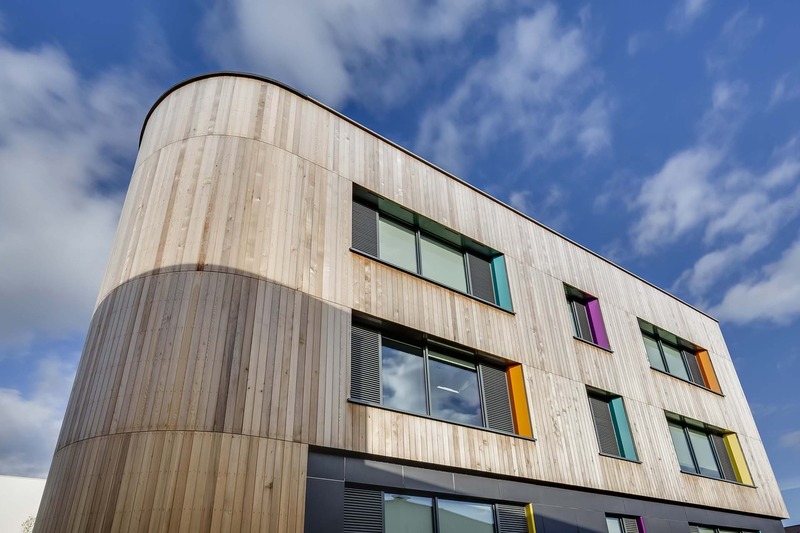 The brief was for a new free school, not a PSBP, this allowed room to negotiate and flexibility over the ESFA’s Schedule of Accommodation (SoA). 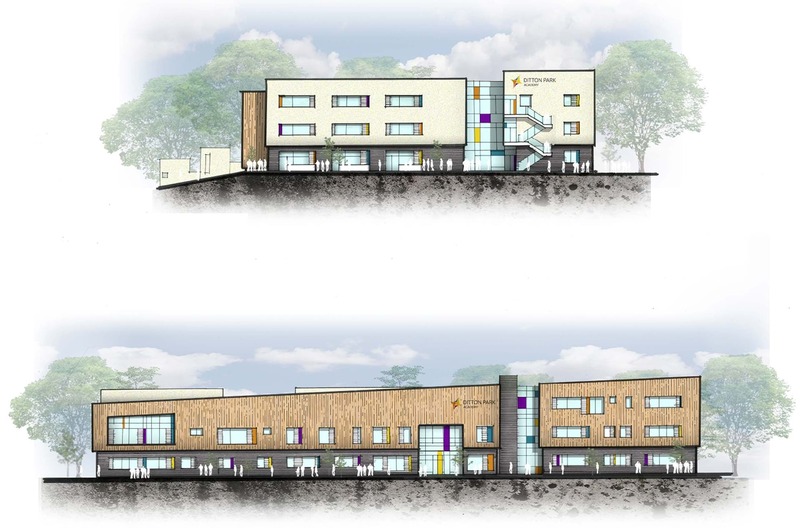 We developed the brief and design proposals for this secondary school with sixth form working in close consultation with a range of stakeholders. 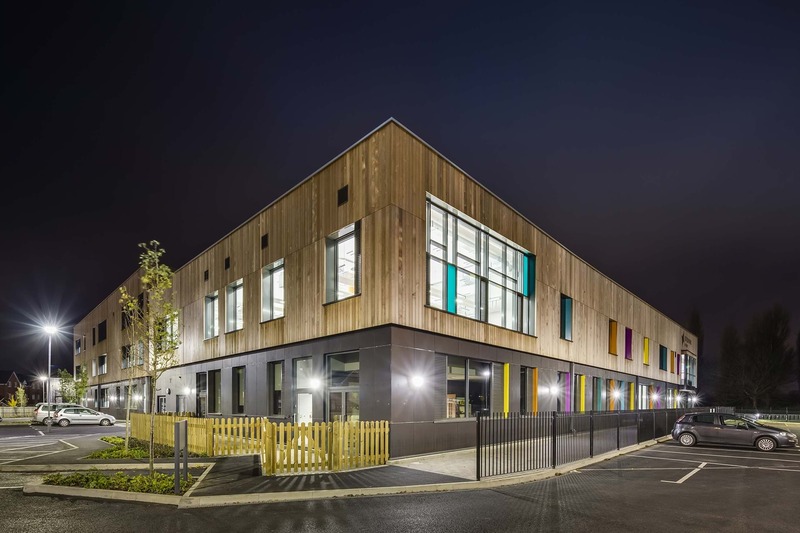 This enabled us to challenge, then change the prescribed funding model – allowing us to achieve quality design working within tight site, programme and budgetary constraints. We designed the school as four pavilions configured to form a central courtyard. This is a direct response to sensitives relating to the adjacent and historic Upton Court Park, reaching views from the site of Windsor Castle and the close proximity of neighbouring residential properties. This was the first secondary school project to be completed using the principles of our Optimum Schools concept. 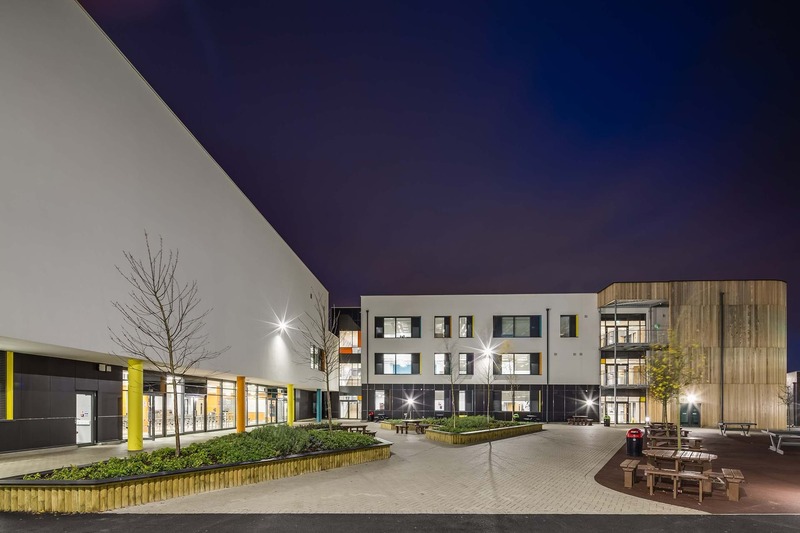 We designed the forum-like courtyard as the main access to the main entrance pavilion and it functions as an assembly, external learning and recreation space. The courtyard is richly landscape and in the evening, images can be projected onto the white rendered pavilion walls. It was important for each floor level to feature a project breakout space – to embody the education vision, provide spatial flexibility and express the Academy’s house structure.